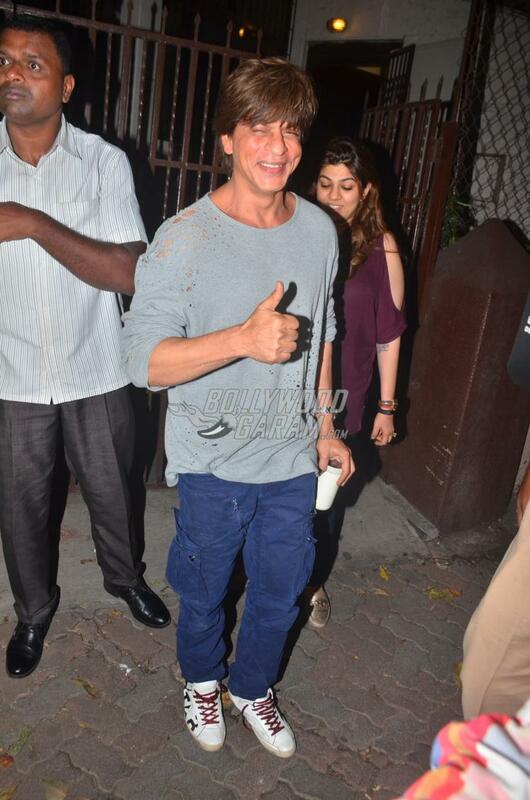 Shah Rukh Khan has always been media and fan-friendly. 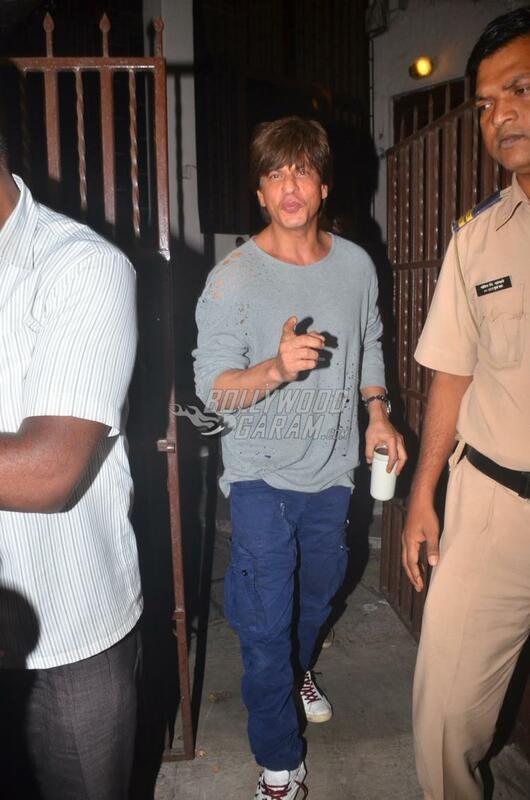 The Raees actor was snapped outside a studio in Mumbai on October 23, 2017. 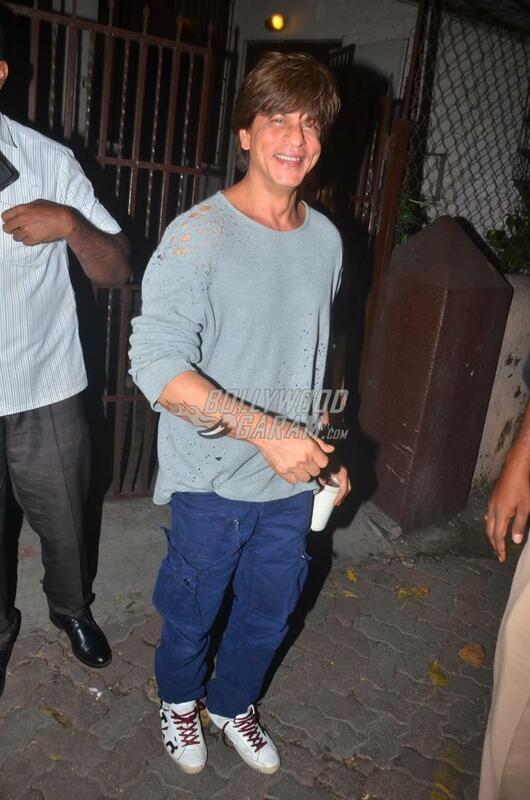 Shah Rukh was all smiles as he came out of the studio and looked cool in a casual t-shirt and cargo pants. 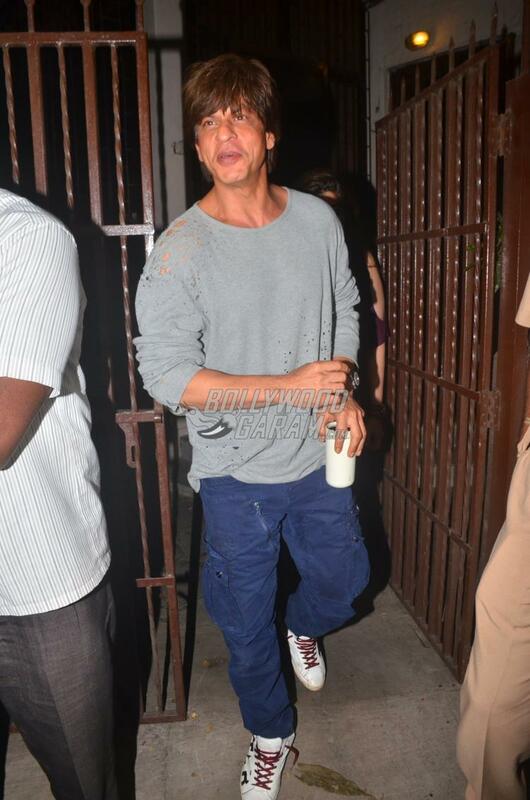 The actor is currently preparing for his upcoming film by Anand L. Rai opposite Katrina Kaif and Anushka Sharma. The film is yet to get a title. 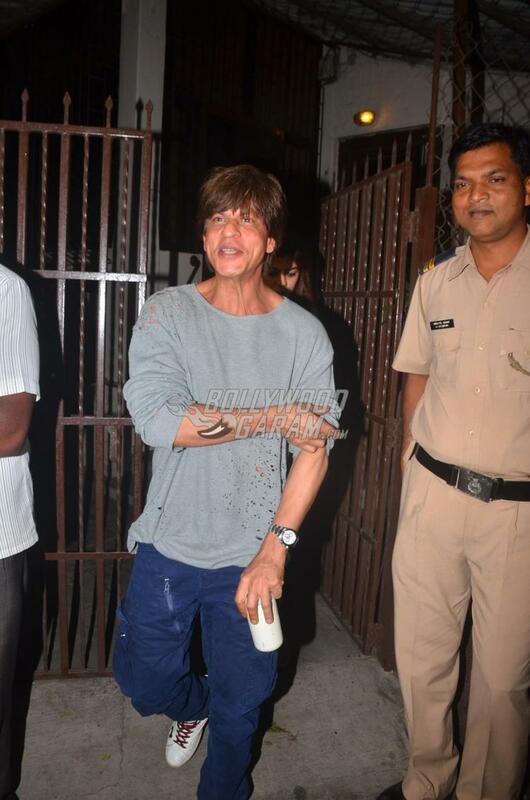 Shah Rukh will be seen playing a double role and one of his characters is expected to be of a dwarf. 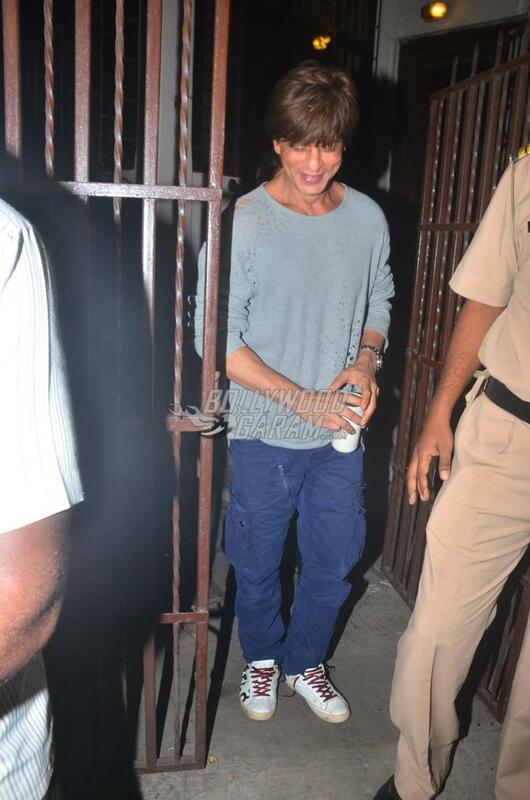 The actor’s dwarf look has been kept strictly under wraps. 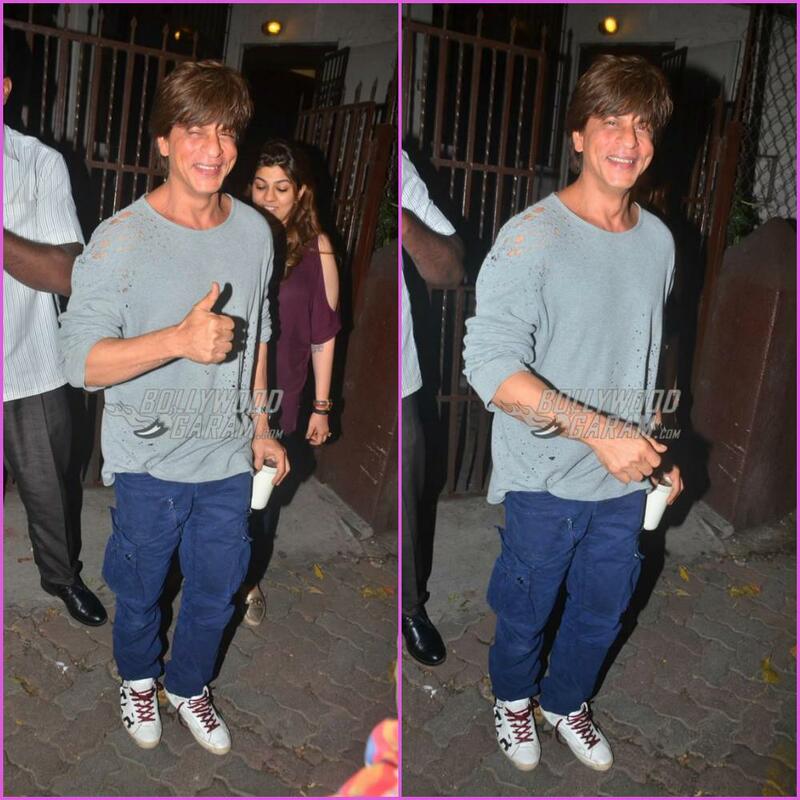 The actors are currently shooting for the film which is expected to be out in theatres on December 21, 2018. 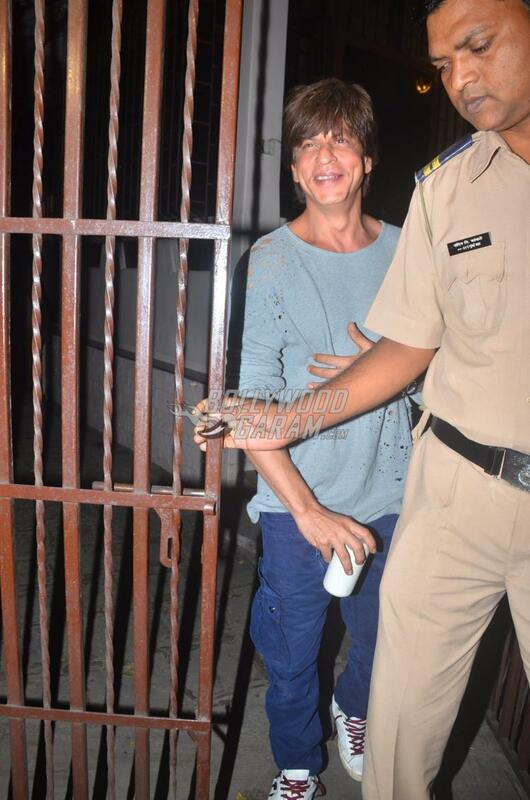 Shah Rukh was recently in news when a portion of his office was demolished by the BMC due to illegal construction issues. The solar panels at the canteen area of the office were demolished by the BMC officials. 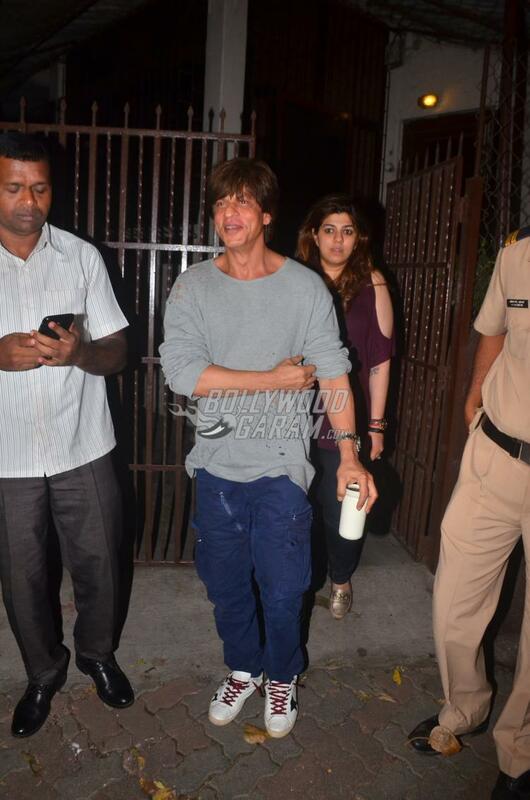 Exclusive photos of Shah Rukh Khan outside a film studio!